I know, I know, it’s been awhile since I last wrote here, however, with good reason. Salby Damned was sent away to be edited by Wise Grey Owl, an editing company I stumbled onto. When it came back it had lost 18,000 words and was, at first glance, a bit of a mess. Cue major read-through and recovery edit though, it has to be said, after the initial annoyance at so much of the book being cut, I sat back to undertake the process of re-reading, and indeed, re-writing some of the edited parts. Having cut so much from the story, I thought it would be horrible, would have lost its flow. On the contrary though, the editors took away a lot of what simply wasn’t needed and picked up the pace of the book. Some of their suggestions were a little bit left of first base, the sentences having been cut, hadn’t been properly finished off. Indeed odd words, double spaces and a myriad of scrambled chapters and paragraphs has seen me restructure the entire book. The notes that they gave me, pointers with regards to sentence structure, length and suggestions about how best to convey a scene were, without a doubt, priceless. 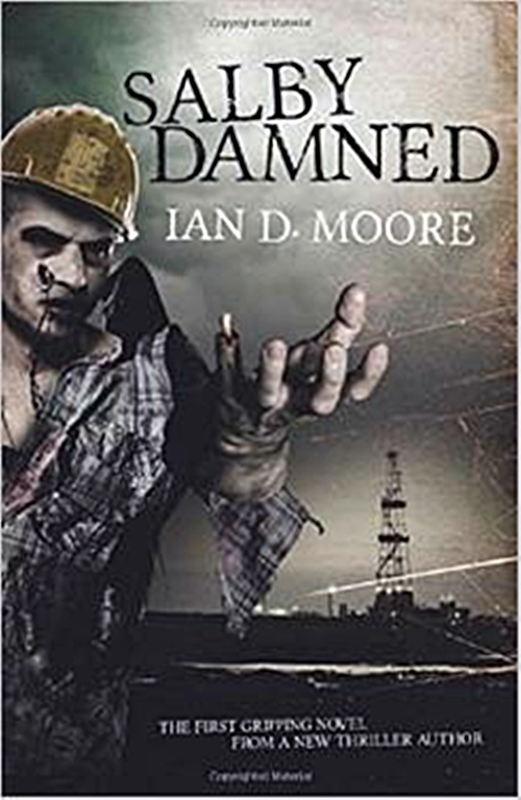 Having now completed the edit run-through and republished Salby Damned, I’ve now to sit back and wait to see what the verdict is with the readers. You’ll find it here, along with the opportunity to download the free sample. For any indie authors visiting my site here, please feel free to post adverts for your books/work and consider joining me in a group called Indie Author Review Exchange which you’ll find on Facebook. It’s always a pleasure to meet other new writers and I’ll do my best to help with any niggling problems you may have encountered as I tend to post solutions as I find them. And finally………..Salby Evolution is now priority and work will re-commence on completing this sequel, with the recent edit of the first fixed firmly in mind. I am currently reading a couple of Indie Author works and will post my reviews both here and on kindle when I’m done. Thank you for reading……………………………………. curious if this is normal – the editor sending back such drastic changes yet leaving the MS far from being able to be published. How long did you work on the post-edit version? How many words added back? In all I went through nine drafts of Salby Damned before I sent it to an editor, having seen various books, read up on paragraphs, sentence structure, chapters and the like, I self edited my book numerous times and finally decided that it needed a fresh pair of eyes. I added 1500 words back to the edited version, some of the line suggestions made by the editor were, well frankly, ludicrous for the type of story that it is. What troubled me was the lack of re-structuring that was evident in the returned file, having cut so much out, no attempt was made by the editor to re-arrange the chapters, some of which had been gutted. Granted, I tend to write quite descriptively and some of the cut stuff wasn’t needed, however, some of it was also integral to the book not to mention the sequel. There were numerous double spaces, lines where lines should not be, spelling errors that were not present in the sent file and it seems that the editor doesn’t know what vermin is either?????? Now, I’m not a country boy born or bred, but even I know what that is. Some of the pointers he gave were very constructive with regards to sentence length, use of different words for a more dramatic take on a scene etc but, by the same token, some of what he did was no better, if not worse that the original. I’m guessing, by the prices of editors, that you get what you pay for, however, I think for the sequel, I may well stick to self editing. After any edit, you’ll need to do a run through of your returned work, to see if it all adds up still, most writers will do that no matter how many times they send it away for editing.